Ladies, this has to be one of our most favored past-time, so why not have fun with it on your special day? Why not have a shoe colour that will match your wedding colours? maybe something borrowed something blue? Traditional White or Ivory? The sky is the limit! and besides it is a great excuse to add to the ever-growing shoe collection! It is very important to ensure that your shoe heel is not to short or too high for your dress, it is essential to prevent tripping and dragging over your dress. 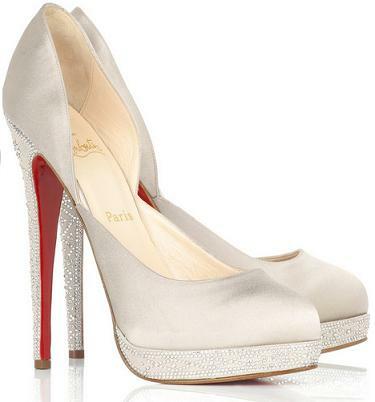 You should bring you shoe of choice to your dress fitting to work the length around the shoe. It is also VERY important that you feel comfortable in your shoe. It is always a good idea to have some flats on hand considering you will be tired of standing and walking all day! Your best friend announces his engagement, and turns to you to be his best man, you´re excited & honoured but at the same time unclear of what your duties are? Not to worry this guide should help you get through before and on the big day. 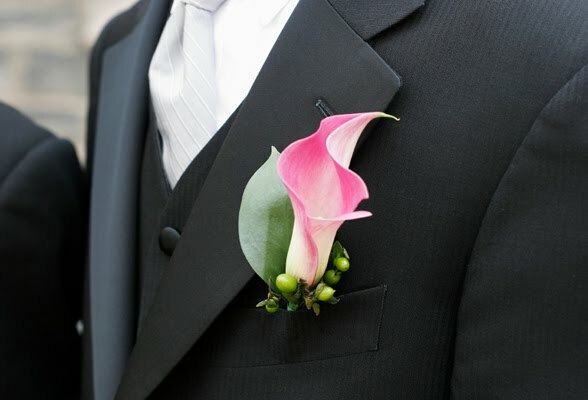 -Help the groom pick out his suit and accessories for his wedding, and if theyre all not being purchased/rented together ensure that they colour coordinate with eachother, as well as the wedding theme/colours as well. -Here´s one that most men won´t mind serving duty....Organizing the bachelor party! whether it´s at a hall with 90 people, or with the groomsmen at a bar, it is usually the best man who coordinates this, and not to worry! If you have financial worries, the bachelor party is usually split between attendees, through purchasing tickets to attend or by buying drinks for the groom, whichever route you choose to take. - On the wedding day, safe keeping of the bride´s ring and guarding it with your life! A groom is already nervous on the wedding day, what worse way to start a new life with his bride then to misplace her ring! -Signing the marriage license as a witness along with the Maid of Honour. -Give the officiant their fee in a sealed envelope (these are covered by the couple), your duty is to hold it until they have to give it to them. - Here´s probably one of the most biggest duties (and possibly freightening if youre a nervous kind of guy) of being a best man, writing a speech and toasting the bride and groom (check out my blog about writing a successful speech). -You may be responsible for the safe keeping of the gifts and holding the envelopes until the couple returns from their honeymoon. - You may be responsible for getting the bride and groom to their hotel or airport after the wedding...not planning to be sober? rent them a limo to take them there. And most importantly, enjoy yourself on this day! It´s over in a blink of an eye, Remember you were chosen to be the best man because you ARE the best man! Bye bye old tiara..Hello glamourous! Not big on flowers? Why not try out a beautiful headband, this beautiful rhinestone & ribbon headpiece was made by Lottiedadesigns and runs for $75.00 USD. These pieces scream elegance, with out being too over the top & tacky. Have you ever been to a wedding where you have had to listen to an intoxicated uncle Fred ramble on repeatedly about how his little girl is all grown up? Or an over emotional Maid of Honour sob through a whole speech while you are examining around the hall which are the best escape exits. Well you can avoid being an annoying uncle Fred or an obnoxious MOH when you are up on the podium by following these steps to writing a great speech! There is nothing worse than to sit through 10 minutes of rambling about everything un related to the bride and groom…Write down your ideas of what you would like to say and visualize how you would like your audience to react. eg. do you want them to laugh, or do you want them sobbing like they are reading a cheesy romance novel? or do you want a mix of everything to keep some variety? its all up to you, but you need to think before speaking! 2. Speeches are like buildings they need structure! The trick to a great speech is very simple, they need structure. An Intro, Body and Ending are needed. This keeps things organized and helps you avoid rambling on. You can start off by acknowledging the guests who have travelled from afar to be there. Then what better way to end off a great speech with something great to wash it down with…a toast! 3. Keep it Short & Sweet! You´re at a wedding, keep the exes exed…there is no reason to bring up past girlfriends/boyfriends or mentioning how you are surprised Billy actually got hitched considering he had a black book the size of the yellow pages. Keep in mind there are relatives that may not be impressed by those comments…Also watch your language there may be children there! Make sure that you Finish what you start… If you start off making them laugh, end with them laughing, make sure your points get across to your audience, end with a great toast, that will get everyone in the mood to have a great time! Listen we all know that open bars at weddings are a very good thing, but the beauty of them is that theyre usually open for more than 5 hours…so wait until you go up to say your speech and then go ahead and drink up, believe me when I tell you no one wants to hear you slurring your words and stumbling on and off the podium. You will embarrass yourself and your bride and groom, and better yet if they have a videographer, that memory will be etched on DVD forever…There is lots of time to party and have a good time, besides most speeches end with a drink! 7. Stare them down and keep it indexed! Your grade 5 teacher was right when they drilled that into your head, practice, practice, practice, its always a good idea to record yourself and to read it in front of a small audience to get some feedback. Remember if they’re not interested with hearing it, then your audience on your big day will most likely be uninterested as well. Well you should be well on your way to writing a great speech, good luck & lets raise a glass to that...cheers! 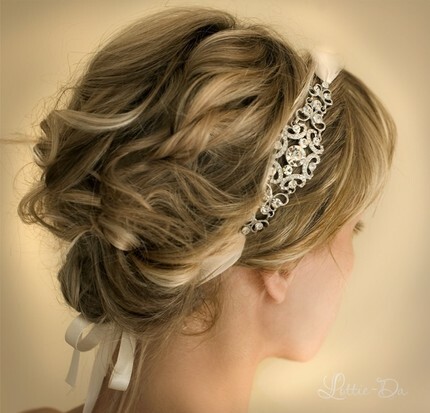 Looking for something unique and beautiful that your bridesmaids will love? 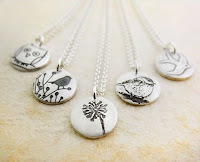 Tired of seeing the same boring jewelery? 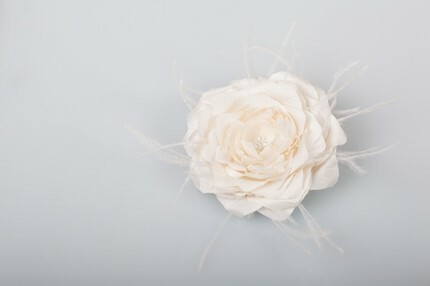 Check out http://www.etsy.com/ There are tons of beautiful handmade pieces that your bridesmaids can wear after the big day for years to come! The prices for these beautiful pieces run from about $25-$35. 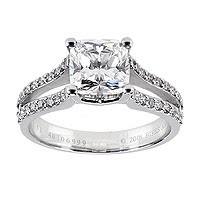 -Get a ring size chart and ask your girlfriend to look up her size. When she accuses you of ruining the surprise that you're shopping for a ring, say, "Okay, try this one instead," and show her that you've already shopped for a ring. -Make your own message in a bottle. On the night before a beach day you've planned, write a love poem on a piece of parchment paper, roll it into an antique bottle with a cork, and bury it in a well-marked spot in the sand near your towels. Be sure you "find" the bottle as you dig together -- and have the ring at the ready. -Create a personalized fortune cookie with your own proposal message. -Slip the ring on her finger while she's sleeping and wake her with champagne and strawberries. At first, the gesture will simply seem romantic -- the real surprise comes when she notices her new piece of jewelry. -Upload a video of your proposal on YouTube (tell her you have a hysterical home movie to show her). Another idea I had thought of was to purchase a bracelet and have it engraved "marry me" (as pictured above) Tiffany & Co. used to have this available, it has been since discontinued. I think this makes a great proposal and an amazing gift at the same time! I will let you in on the engagement ring search that we've been going through to find that perfect ring. I have been looking through many websites searched through thousands of different rings, and have tried on several different rings & I have finally come down to the final 2 and I thought I would share my two favorite designs with you all & perhaps to get your take on them. The front runner is the from the Birks Amorique Collection it is a split shank, cushion cut (proper term for the Birks Cushion is the Amorique Diamond). I have tried this ring 3 times in 3 different carat sizes, .56ct , 1.05ct & 2ct. This ring has to be one of the most breathtaking designs I have ever tried on. Birk's has spent a lot of money and effort to create this beautiful stone, that $50 million dollars was well spent! The ring is unique and unlike traditional designs, which is why I love this ring so much! 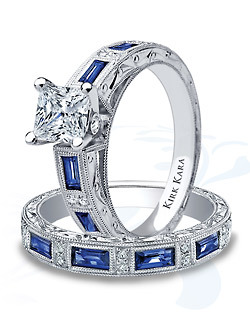 The Second ring which I had originally fell in love with is a Kirk Kara design that actually has meaning to me, the ring is less "Bling" however I love sapphires, and the reason for this is if you didn't already know blue sapphires were predominately used as the main stone wedding rings to symbolize loyalty. I also thought that the handmade details on this ring & craftsmanship are second to none, as is most of Kirk Kara's designs. Another big important part of the process is to understand the four C's ; Cut, Clarity, Colour & Carat. These are the criteria jewelers use when grading diamonds, and this is very important to understand to make sure you are getting what you pay for. -Cut: is probably the most important, and most challenging, of the four Cs to understand. The brilliance of a diamond depends heavily on its cut. Believe me a bad cut can heavily influence the way the size of the diamond actually looks. -Clarity: Most Diamonds have some inner inclusions or flaws while going through the formation process. to keep things simple less inclusions/flaws = more brilliance. -Colour: The more colourless the diamond is the more your diamond will absorb light thus making the diamond sparkle more. 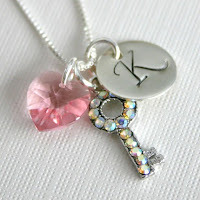 -Carat is the unit of weight by which a diamond is measured. Because large diamonds are found less commonly than small diamonds, the price of a diamond rises exponentionaly to its size. If you have an ideal ring in mind and it is out of his budget, suggest finding a jewellery wholesaler, you may be able to replicate the dream ring you want for a fraction of the price, and in the end will be made specifically for you! who wouldn't want a custom made ring? Ladies, my final thoughts on this is if you know what you want, tell him! send him pictures. Educate him on the 4 C's, Believe me for the most part, most men really do not have much knowledge about diamonds, types of settings etc. It is hard enough for them to have to go through the nervousness of asking you to marry them, let alone picking the right ring for you! 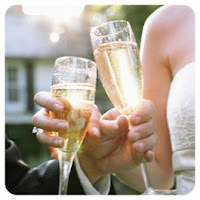 Eventageous Wedding & Event planning is an event planning company located in Ontario, Canada. Eventageous' lead planner, Jessica Farrugia is a certified wedding planner through The Wedding Planning Institute of Canada. Jessica is committed to making sure that your special day runs seamlessly and we will strive to go over and above your expectations.